BJP stormed back to power in Uttar Pradesh and Uttarakhand securing landslide wins. Anchored by Prime Minister Narendra Modi and party president Amit Shah, the BJP juggernaut rolled on in UP and in the neighbouring state of Uttarakhand, bagging three-fourth majority. According to the results, the BJP-plus won 325 seats in the 403-member Assembly in Uttar Pradesh. The BJP is returning to power in the politically crucial state of UP after a gap of 15 years during which regional parties such as the SP and the BSP held sway. 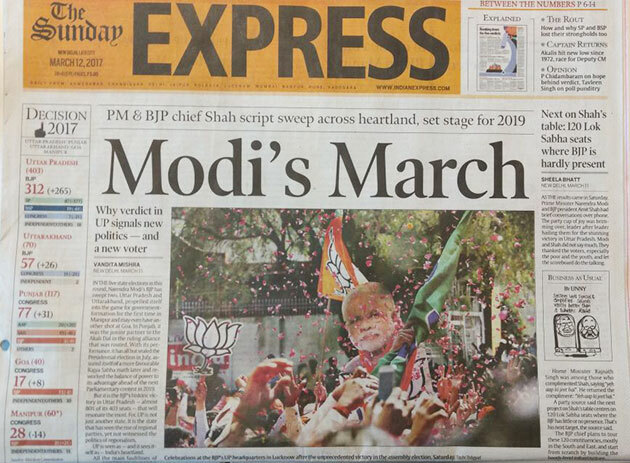 Indian Express's lead story comes with an imposing title 'Modi's March'. 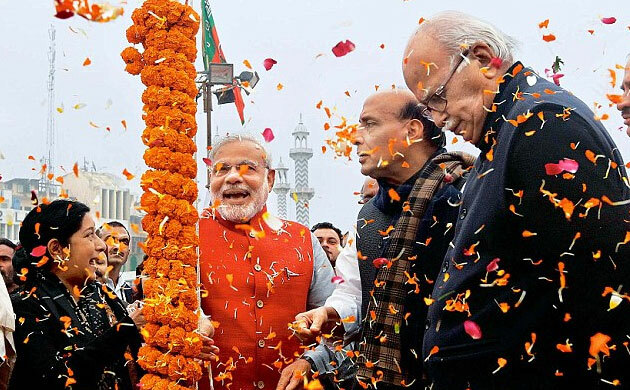 The English daily writes PM Modi and BJP chief set the stage for 2019 Lok Sabha Polls with sweeping victory. 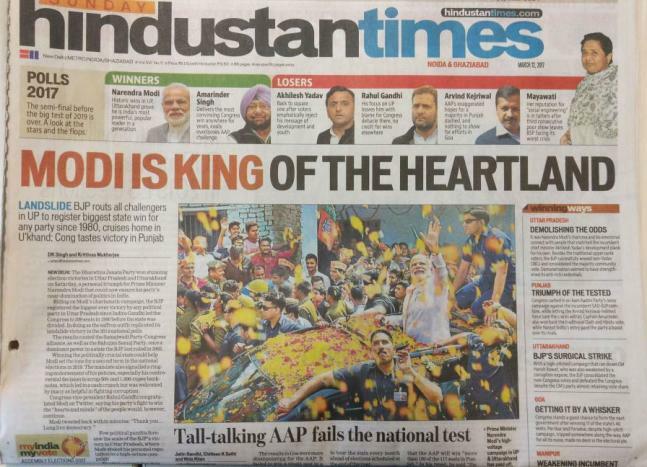 Hindustan Times calls PM Modi the king of the heartland. They have used Modi's Roadshow picture in Varanasi as the frontline image of their picture. 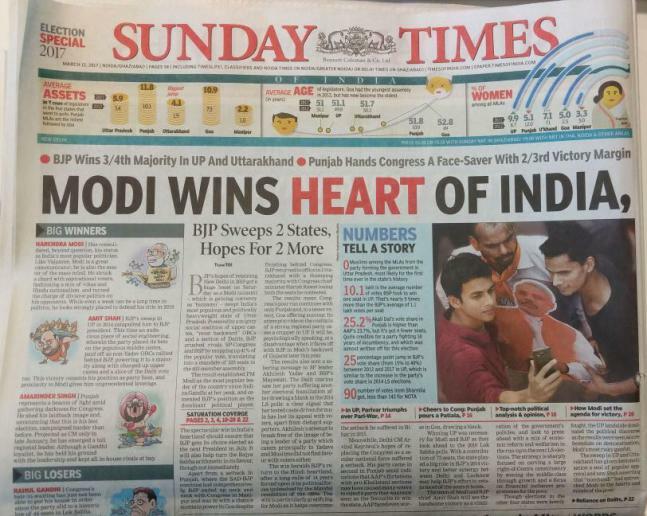 TOI's Sunday version labels the title header as 'MODI WINS HEART OF INDIA'. They have written a special article with two sub-headers, BIG WINNERS and BIG LOSERS. 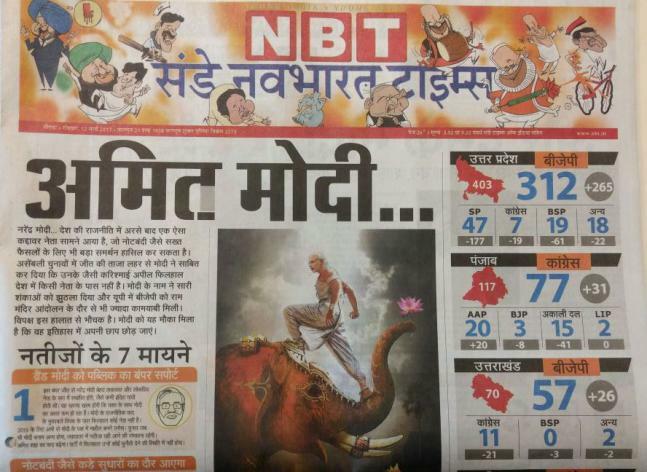 Sunday Navbharat Times has used Baahubali 2's motion poster in which Modi has replaced Prabhas, taming a beast in the awe-inspiring pic. Two words header 'Amit Modi...' show the impact of PM Modi and BJP President in UP Elections victory. 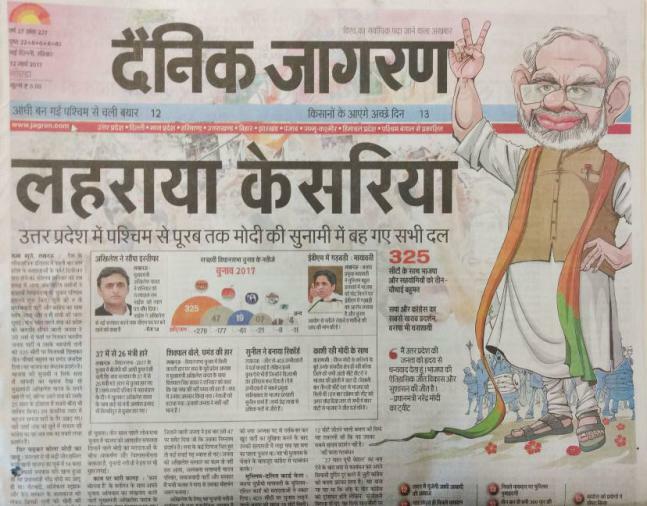 Hindi daily Hindustan has expressed the intensity of news in the title header, 'Modi Par Mat Barse'. 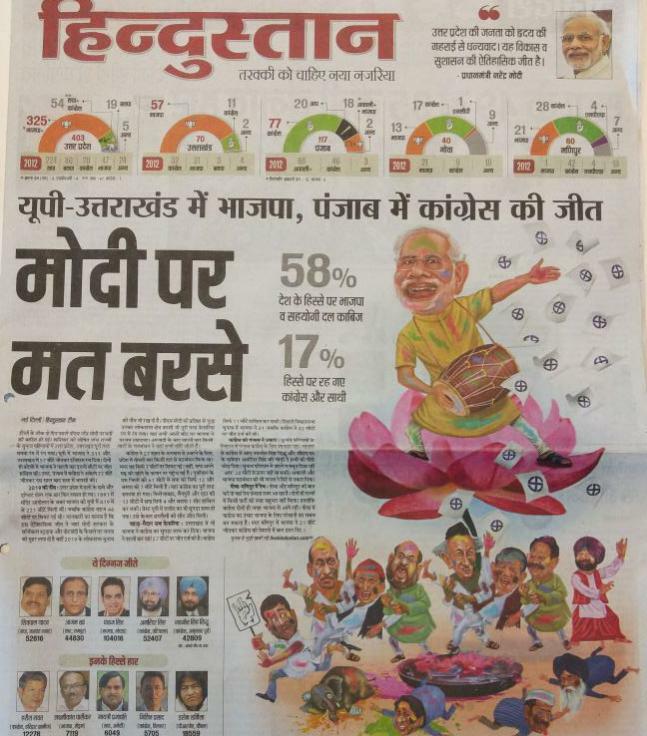 They have used cartoon to represent Modi dancing and playing Tabla after the results.